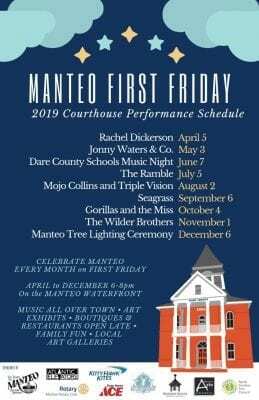 Dare County Arts Council will the kick-off of First Friday in Manteo, a monthly event sponsored by the Town of Manteo, with music, writers and a photo exhibit. In addition, the season’s kick-off session of First Friday in Manteo will feature 16 mystery writers, who are all members of the Southeast Chapter of Mystery Writers of America. Writers will participate in a talk, reading, and reception at the Dare County Arts Council on April 5. The reception for April First Friday will be co-hosted by Downtown Books and the Dare County Arts Council. “The Life of Trees Among Us,” a new photography exhibit, will also make its debut on April 5. This special exhibit will feature a collaboration of media, including photography by George H. Wood, wood furniture craft by Larry Bray, and handmade paper by Hiromi Niyodo Kozo. Local mystery writer Joseph L.S. Terrell. The Life of Trees Among Us exhibit will feature six large images printed on handmade paper, accompanied by handmade furniture. The exhibit’s intention is to provide multiple avenues for interaction with the theme of the event, while providing a mental oasis where one can safely explore and reflect on their relationship with the incredible world in which we live. 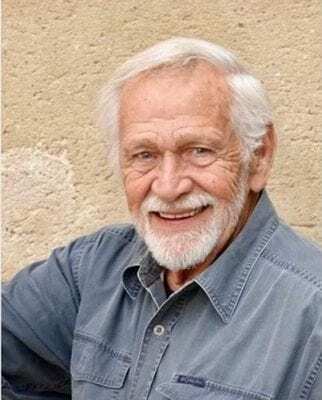 Writing music specifically for the exhibits opening receptio, is retired Carol Grotnes Belk Distinguished Professor of Commercial and Electronic Music, Dr. Bruce Frazier. First Friday is a fun-filled, family-oriented street festival, held the first Friday of each month, April through November. Each First Friday will take place from 6 to 8 p.m., in Historic Downtown Manteo along the Waterfront. During First Friday each month, Dare County Arts Council will host new art exhibits, with musical guests performing at the DCAC Gallery. Local shops and restaurants in Manteo will have extended hours, and feature special shows, sales, and performances. First Friday is open to the public, free of charge. The public, visitors, and guests are all encouraged to attend. All performances 6 to 8p.m. May 3 – Jonny Waters & Co.
2019 First Friday sponsors include Atlantic Elevators, Manteo Rotary Club, Kitty Hawk Kites, Outer Banks Ace Hardware, The White Doe Inn, and Holiday House Weddings. For more information about First Friday on Roanoke Island, please visit DareArts.org/firstfriday or call (252) 473-5558.